Stephanie's Mommy Brain: I've MOVED! Did you know that Stephanie's Mommy Brain has moved to EverydayFamilyLiving.com?! For several years I've wanted to move off Blogger and use self-hosted WordPress. This is more of a "backend" issue (as my computer programming husband would say). The move will give me greater flexibility in what I provide to you, my readers, such as downloads for you to use. Won't that be fun?! I've blogged at Stephanie's Mommy Brain since July 2007. Back then I had 3 children under 4 years of age. The name seemed to fit. My oldest turns 10 this year and the name just doesn't seem to fit any more. I guess you could say I've outgrown it with my family. Everyday Family Living just seems to describe what I write about a little better. It's the same type of content you enjoy reading here, just in a different location and fancied up a bit. Follow me over to EverydayFamilyLiving.com!! Either subscribe in a reader or have the newest posts delivered to your email each day. I hope you like the new format and look as much as I do! I can't wait to see where EverydayFamilyLiving.com goes this year!! Welcome to Stephanie's Mommy Brain! 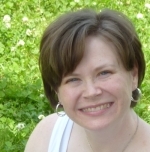 I'm Stephanie Kay, a busy homeschool mom of 4 (ages 3-9). Drawing from personal experiences, I encourage moms of all stages by sharing practical ideas for home organization, family activities, and health & fitness. I hope you are inspired today by new ideas for investing yourself in your family and home.